Ryan says that we will try for lights out, it is 11pm and when he switches the lights off it is pitch black, I cannot see the clock on the wall, I cannot see my wrist watch and Ryan has put my phone (which also tells me the time) on the bench out of my reach. I press my button of escape once (it takes 2-3 goes before I am overcome with sleep) and as I do I realise that 11pm is the exact time last night that my waters broke….It’s only been 24 hours and in that time my whole life has changed, my baby is dead, all my plans for the future have changed and I am no longer quite sure of who I now am. 24hours ago my baby was alive, kicking and moving, ‘please God, please God, if you really are there, please let me fall asleep and rewind the clock.’ I have no idea of the time because I can’t see, but I choose not to press my button of escape, I no longer seek sleep, for some reason I want to relive the hours of the night before….why, why would I want that? At 2:30am a nurse comes in and puts up some antibiotics, I know the time because she has a large flashlight, I am unaware if Ryan has been asleep or not as he had been lying very still the whole time, but I know he is awake at the moment. The nurse leaves and I realise that my baby boy was born 24hours ago, for some reason this gives me a little peace, maybe it is because his fate this time last night was no longer in my hands, maybe it was because I knew he was no longer going to make it so I press my button of escape a few times and find that sleep overcomes me. Numb again. Big swollen eyes. Numb. I look at Ryan and we reach out to hold hands, tears slide down my cheeks and my sense of guilt is enormous, I have killed our son, our beautiful son is dead and it is my fault, how can Ryan look at me with love in his eyes, how can he be in the same room as me, did he not realise that it is my fault? Please rewind the clock, please rewind the clock. Oh god, this is now my life, oh god, I don’t want to face it, press the button, press it again, oh god I have killed my son, press it again…sleep. Sally walks in and awakens me, it is around 730am, she brings in breakfast with her cheery disposition and tells me that today is the day that I need to get out of bed, I am to have a shower, and my PCA is to come down. I must have given her an absolute look of horror, because she said ‘we will disconnect you and see how you go, if the pain is still really strong you can have it back again’ Pain? That was not what I was concerned about. How would I get through the day without my sensory numbing button, and more to the point, how would I even consider getting to sleep tonight and dulling all the other babies crying if my button was not with me? Sally tells Ryan and me to eat some breakfast and then she will come and help me to the shower. I give all the cooked breakfast to Ryan and I eat the cereal, food is the last thing on my mind at the moment. I press my button a few times before Sally comes back to help with the shower and then it is gone, my lifeline, the only thing holding me together is taken from me, it’s now up to me, I have to face this, I have to deal with whatever comes my way today, I don’t have a choice. You never know how strong you are, until being strong is the only choice you have. After my shower I have a cuddle with my little man, he is still perfect and soft, he is not blue or smelly as some people may think but beautiful. Unfortunately today he looks dead, he is still beautiful but his lips have lost their plumpness and they have turned a really dark red, and I realise there is no way he is coming back to me, but I cuddle him and talk to him as his daddy has a shower, my sense of guilt overcomes me and I tell him how sorry I am that I caused him to die. Mum gives me a call to tell me that dad, Alethea and she will come and see us around 1030am so I ask the nurse if she can take Liam out of the room for that time. If you remember we told Alethea that next time she came to the hospital she would not be seeing Liam, and I didn’t want to confuse her. At 1030am my little bundle of energy comes running in the room, immediately she stops ‘where is baby Liam?’ she asks and I tell her again that her brother did not wake up, that he is dead, (I try the arm above the head and the breathing thing but that didn’t really work) and that the hospital has taken him and tell her that we are not allowed to bring him home. She is upset for a while and cuddles into me, until I tell her that I have a present for her. Ryan brings out her present and it is a pink scooter, her eyes light up and she is so excited, she practices around the room and she asks if she can go on a big scooter ride. Ryan gets me a wheel chair and we follow my bundle of energy as she scooters throughout the hallways of the hospital. Yes she got into peoples way, yes she was a nuisance, but I didn’t care, in fact I was daring someone to say something so that I could tell them off, but no one did. We went all the way to the front of the hospital where there was a good 100m of concrete that was hardly used, that she could scooter on, and she played there for around 30mins and then we went back to my room. Alethea was playing a game with Ryan and I whereby both the scooter and the wheel chair needed to be stopped on the same line of carpet and then she would say go, we would go about 10m and then stop, only to start again, she always won and loved it. About 5 doors up from my room I happened to glance into someone else’s room and see a dad with a newborn up on his chest, the baby was crying and that is the first and hopefully last time that I COMPLETELY lost it ‘go, just go’ I cried out to Ryan, Alethea was crying from behind ‘wait for me mummy, I want to win, stop I want to win, I am the winner, stop’ she was crying and yelling at us, poor Ryan didn’t know what to do, but the desperation in my voice told him not to stop ‘just go I said’ and he wheeled me as fast as he could to my room, Alethea came in second also crying and my parents followed. ‘Are you ok Amanda’ mum asks ‘Just leave, everybody just leave, just give me a minute to myself, just go’ is my response. I can’t handle it, I can’t do it, I have no baby, I have killed him. Mum and dad leave and Ryan and Alethea remain with me. Poor Ryan, both his wife and his daughter were in tears and he needed to console and calm both of us down. Looking back, I am not quite sure how he did it, how he held it together, he must have felt as utterly gutted as I was, but he remained the calming influence for us. Nothing of significance happened that Wednesday, my OB came and saw us and asked if we had made a decision on the autopsy to which we replied that for the moment we would hold off. The social worker came and saw us, and she was useless. In my line of work I have come across a lot of social workers and have always known them as kind, loving, and helpful, but the social worker at this hospital was sullen, and unhelpful. She gave us a list of funeral homes and asked us which one we were going to pick. Firstly, Ryan and I didn’t even know what a funeral home was used for; we had never arranged a funeral. She asked us if we would bury or cremate our baby….Oh god, we hadn’t even thought about it. I realise that these questions needed to be asked but she just came straight out and asked the questions without any warning. I think the better approach would have been to ease us into the idea, by saying something like ‘Liam will need to have a funeral, and I realise that you haven’t thought about this yet, so I have put together a list of funeral homes for you (they are the people who will transport Liam from the hospital to the casket to the burial plot or crematorium) and you will need to discuss together whether you want to bury or cremate Liam.’ But unfortunately our sullen social worker came into our room saying ‘sorry I’ve had a busy day’ gave us a white folder which had a few bits and pieces in it including some funeral homes and said ‘do you know which funeral home you will use, and will you bury or cremate your baby, because if you want to cremate him, there are some forms that will need filling out’ Thank you for your empathy you can leave now, is what I was thinking. Ryan and I were left alone for much of Wednesday, so we had time to cuddle and talk to our little boy, which we did a lot of. This was also the day that I had announced on Facebook the same message that I had texted my friends, just in case there were people that we had forgotten to tell, my whole pregnancy I had been looking forward to when I too would announce the birth of my baby, as you all know FB is BIG on birth announcements and over the last 2 years each one had been like a dagger in my heart, finally with this pregnancy I too was going to be one of “those people” who proudly presented their baby to the world….not like this, not like this, this is not how it should be, oh God why me? Of all the people in the world why me, but as I had no choice my baby’s’ birth announcement was also his death announcement. Ryan and I read all the information that the social worker had given us and all the pamphlets in the Bears of Hope bag, and I feel totally left out, all the information is for families whose babies died from prematurity or from still birth, there was nothing there for us, we had an apparently perfectly healthy baby who died after birth, although we could draw analogies from the still birth booklets our baby was not still born, and our baby certainly wasn’t premature he was a 39.5 week 3.57kg (7lb 14oz)a beautiful baby boy,(however all the information that was contained in the pamphlets helped us immensely, they even had lists to help us know what we needed to do and information on who to contact, so although I felt a little left out, the information was so important and valuable to us). Night time comes and a friend of mine sends me a text telling me about a professional photography organisation called Heartfelt who come and take photos of you and your baby for free, so that night I call them and arrange for them to come the next day. I also ask my friend if she could recommend a pastor at the church we were going to who could help with a funeral, (We had attended this church for 2years and then moved elsewhere for 2years and recently we had moved back to this church, and as there are a lot of pastors at this church I was unsure of who would be the most suitable to help us with our arrangements) she gave me the name and number of someone that she recommended and being late at night I decide to give her a call the next morning. That night was the premier of Mrs Browns Boys on the TV, I had told Ryan the week before that we would have had our baby by the time it started (thinking that we would have been induced on the Tuesday night) and to not let me forget to watch it, as it is my type of humour, so we put the TV on and I laugh a couple of times for the first time, but I find my mind can’t pay attention the whole time and I miss a lot of the punch lines. It finishes and we watch something else, the nurse comes in with some pain tablets for me (Endone x2) and asks if I want some sleeping tablets, I had found that the Endone throughout the day had helped with the pain, and had also numbed some of my senses, but I was unsure if it would hold me throughout the night (sleep wise) so I say yes to sleeping tablets and she gives me 2 Temaze and leaves the room. I offer Ryan one of my sleeping tablets and he declines saying that he is a better sleeper than I am and he doesn’t require them. That was a hard night for both of us, my button of escape was no longer there to be pressed to enable sleep to resume and the babies on the ward cried all night. Again I relive the hours of Liam’s death (waters break, off to hospital, baby delivered and this time I relive over and over Liam’s final breath in my arms) my baby is dead, he died in my arms, I felt the life go out of him, who has a dead baby, who does this?? Morning comes and we both look exhausted, I ask my OB how long we have to stay in hospital for and I’m told that normally with a Caesar I would be discharged on the Monday…Oh God that is 4 more nights, no way, I tell him that I think I will be ready by tomorrow (Friday). Ryan and I have spent all our time in hospital with Liam, and he still looks beautiful, but we feared that if we spent more than another day with him, he would begin to smell and change in appearance, and that is not the way that we wanted to remember him, we wanted only lovely memories of him, so we had decided that tomorrow morning we needed to say our final goodbyes and if we couldn’t have him with us while in hospital, there was no reason for us to be here, there was nothing that the hospital was doing for us that we couldn’t do at home. It was a busy day that day, I rang the pastor, Sylvia who came and saw us just after lunch, she was the most helpful out of all the people who had come to see us, she told Ryan and I which funeral home she frequently used and explained to us the whole process of the funeral and what each person’s roll was in preparing for a funeral, she gave us different options on where the funeral could be held and after she had left Ryan and I felt as if a weight had been lifted off our shoulders, we knew exactly what we needed to do and started the phone calls to arrange it all. I also call a lady from Twinkle Toes named Jennifer, (that’s the company who do baby hand and feet sculptures, we hadn’t done this when Alethea was born, but we decided to try and do as many things as we could with Liam as this was all we had of him. ) Jennifer answers the phone and I say that I would like to get my babies sculptures done, however unfortunately my baby was dead and I was in hospital, would she be able to come to me, her response really humbled me ‘Of course I can come to you, which hospital are you at’ I tell her and she says to me that she will be there in a couple of hours. I had cried on the phone to her when I said that my baby was dead, I couldn’t help it, and she was so lovely. I have no idea what she had planned for her day, whether she had to juggle things around for us, or how far she travelled to get to us, but she never complained, and when she got to the hospital she acted like it was an honour to be doing this for us. She was so good with Liam, she talked to him the whole time she took his sculptures ‘good boy, there you go, aren’t you beautiful, oh aren’t you a good boy’ and made Ryan and I feel very special, she never once mentioned that it was out of her way to do this for us or that she had other things going on that day, she acted like seeing us was her top priority. Following the death of our son, we met a few genuinely lovely people who went way out of their way to help us or do something for us, and this lady was one of them. Two of my friends visit us in the afternoon, it was the only friends who were brave enough to come,(I think if it had of been me, I wouldn’t have visited, but now I realise that this is one of the loveliest things that a friend could do), Lisa and Gina enter the room and are both in tears, Gina can hold it together better than Lisa and they both say that they are sorry, that they didn’t mean to cry and upset us, (crying with a friend who has lost a baby is beautiful, it is heartfelt and was one of the nicest things that anyone did with us while we were in hospital and although we didn’t want lots of visitors it was nice that these friends made the effort to see us and also met our little boy, that will always be special to me). They stay for a while, ask us what happened and we relay our story to them, both of them keep saying the same phrase over and over ‘it’s just not fair, it’s just not fair’ and I agree with them, nothing about what has happened is fair. By the time they were ready to leave they have stopped crying and only have tears in their eyes so they say their goodbyes and leave the room, as they exit Lisa bursts into tears and we can hear her cry echoing all the way down the hall, it was beautiful, it was sad, and it meant the world to us that they had met our little man and were grieving with us. The photographer from Heartfelt also came this day and took some beautiful photos of Liam for us and of Ryan and I holding Liam, it was unfortunate that the hospital hadn’t told us about this organisation the day that Liam died because the photos would have been even more beautiful then, unfortunately by the time that Heartfelt came, you could tell that Liam was dead because his lips were so dark red, however the photos and the memories that this company gave us are priceless, I look at them every day and remember how beautiful my little man was, I look at them and ask why, why is this beautiful boy dead, I look at them and hope that when he died he did not suffer, I hope that he didn’t feel scared or afraid or was in pain while he was dying, I hope that he could feel all the love that Ryan and I had for him, I hope that he knew we were there and wanted him to stay, but knew that he wasn’t strong enough, so told him that it was ok to go, I hope that he knew that telling him it was ok to go was the hardest thing we have ever done. ← How do you tell a 3 year old their baby brother is dead? Hi Amanda. I’ve been reading your series since the beginning, but don’t think I’ve commented yet. As you know, we’ve recently had our first child. It is virtually impossible to imagine how it would feel to lose a child. I don’t think it would be possible unless it happened to you, but your posts give the closest approximation I can think of. It is something nobody should ever have to go through, but something everybody should somehow try and understand. I think this series is an extremely important resource for that purpose. It’s been extremely heartbreaking to read your story. Ridiculously heartbreaking. Especially because so many of the things that have made us happy equate to something that makes you sad. I was “doing ok” with the next post, but couldn’t help crying when you mentioned the car seat. Such simple things you don’t even think about in day to day life equate to such heartbreaking things when their reason for existence is not there, and never will be. One day you’re fitting a car seat, full of joyful expectation. The next it’s just another object that reminds you of your grief. I don’t think the guy on the street thinks about this kind of thing much (I know I didn’t), and that’s why blogs like yours are so important. The photos of Liam are gorgeous. Every time I see them I can’t help but think “he’s just a regular baby”. Babies don’t move in photos, so it looks exactly like any other mother kissing her sleeping child – he’ll start moving afterwards, maybe he’s just sleeping. When I look at our son, it just strikes me that the only difference is that one moves and the other doesn’t. Why is that? All the parts are there, perfectly formed. What is it? I have absolutely no idea. There is no reason to it, no fairness. Only madness. And absolutely terrible luck, not the result of some force that wanted it to happen to you. Nobody would do that to you – nobody that knew how it would feel. And it wasn’t anybody’s fault either. Just as no woman can take the credit for her baby being born successfully, so too can no woman be blamed if her baby does not survive. When I see my son moving, I am often reminded of the complete unfairness of it all. Of course I want him to keep moving, but I am often struck by the madness of it all. I’m so sorry that we couldn’t all just share the suffering equally – I really wish that was possible. Albert is beautiful and yes I am very jealous of you and Ros having such a gorgeous boy! Do you know James while in hospital Liam looked like he was just asleep, he didn’t look dead and I kept hoping that he would breath and live but he wouldn’t, I kept wanting to rewind the clock, but that never happened. Even just the other night I said to Ryan, if only we could rewind 10-11weeks and get him out sooner things would be different, but that will never happen. Enjoy every minute with Albert cuddle and kiss him all the time just because you can! Thanks for your message, sorry for your loss as well, I am very glad our colour will come back, even now we are able to have happiness, so I can see that as time goes on I will see the beauty in the world again. Beautiful photograph of yourself and your son. It is unfair, I have lost myself yet not in the way you and Ryan have. Nobody should ever lose a child no matter of the age. I think you know by now that having gone through this you really know who your real friends are, whom you can, if needs be talk to as well as updating your blogs. Your daughter, beautiful name! Will keep you strong, yet never ever be afraid to cry when you need to. You have had some lovely people come to you from lovely organisations. All the best for the future, take time always for yourself and your immediate family and those that show they really care and are there for you. Reading your beautifully written tribute to your son Liam, I was moved to tears. As a neonatal nurse, I have been involved with many families in their time of grieving & just like the woman who came to take the moulds for you, I wanted to let you know that the privilege is all ours. To be allowed into a families space at such a time of sorrow is a privilege and honor. Bad things happen to good people and hopefully you can find some peace if not in Liam having met his parents then in the loving family and friends you seem to have in your life. Bad things unfortunately do happen to good people, I just never expected it to happen to me…who would?! Amanda, I am so very honoured to have read a little of your Liam’s journey. I am so sad for you and Ryan that he died. Two of my children have died in our arms, as a result of prematurity. So whilst the reasons are different, the devastation and heartache are all too familiar. You write so beautifully. You are very generous to have shared your feelings. Go gently on yourself as you grieve. Healing takes time. By healing I mean that your pain becomes more discrete rather than all encompassing. Keep sharing your journey, it will help assauge the pain….. in time, and it is a beautiful tribute to your love for Liam. Your little Liam is precious and his legacy lives on now through you. Fly free sweet precious Liam. Yes we just had our first fathers day without Liam, and it was a tough day on my Ryan, I felt for him so much last Sunday as he visited his son in the cemetery, I wish no one had to experience this sort of pain. Amanda, thank you, thank you thank you for writing this. No one can really know the excruciating pain of your child dying unless they too have been there. You have managed to give them a glimpse of what it is like. It was 5 weeks after Liam died that I realised that I hadn’t even told my parents what had happened that night, it was all in my head and for some reason I just assumed that everyone else knew, and then when I did start to tell them about it, I wasn’t strong enough to finish my story and so I decided to start my blog so that my family and friend could get a glimpse into what we did/are going through, and I am glad that on some level I have achieved that. Yes Hearfelt is a great organisation that gives mums and dads like us memories that last a lifetime, I’m not sure how they are able to have such strength to do it but I am so grateful that they do. Your heartfelt story bought a tear to my eyes. I have had 9 pregnancies and only 3 survived. They never really got past 4 months gestation. They are. May you feel love in the same way that you love, with pureness. How do you respond to such truth and honesty and passion. I have not experienced your loss and sorrow. I am a Heartfelt photographer. My brother and his wife have had the same experience as your family and that inspires me to do what I do. I cry every time. I love and hate what I do and wish I wasn’t needed. My love to you and your family. Beautiful writing and I hope it helps heal and provide solace for others too. X Des. Thankyou, thankyou, thankyou for doing what you do, you are a true inspiration to all of us that have needed the Heartfelt organisation. Yes writing has provided healing and solace for us and I hope it will help others to. Sorry for your loss, I too am thankful that I at least got to meet Liam, I am proud that I carried him and proud that I am his mum, I haven’t yet worked out if there is a reason why we were given our beautiful little boy for such a short time, or what I am meant to do with the small life that he had, I feel like I need the world to know that he was real, he did live and he was loved, but beyond that I am not sure yet. I just found your blog on Facebook through Heartfelt. My heart aches for your loss. What a beautiful little Angel your son is. Thank you for having the courage to share your most intimate emotions & sharing your story & photos. I cannot begin to image your pain, just know that you have support from loads of people online & you are not alone. You are in my thoughts. I’ve been sitting here in tears reading your story. While I have never lost a child myself, my nephew, Ryan, was stillborn almost 2yrs ago (September 17th is his birthday). I still remember the phone call from my sister telling me that he had died and that she would be giving birth to him the following day. We never had any answers as to the cause of his death, she had a healthy pregnancy and he was a healthy baby. It devestated all our family. I had never realised how much I could miss a baby that I had never met and never held. 2 years on and he is still very much loved and missed. The photos you have of Liam bring tears to my eyes as he is such a beautiful baby and it’s so hard to understand why these things happen. I look forward to following you on your journey. Amanda, Ryan – My heart goes out to you. Your strength during this unbearable time is admirable and I applaud you both. I’m so sorry your precious Liam is not with you, but he will live on in your heart forever. You are both truly an inspiration. Thanks for your lovely words, I hope we can be strong for each other and for Alethea! Yes Liam with be in our hearts forever, not a minute goes by that I don’t think of him! Thanks for your beautiful comment, and for keeping us in your prayers, my story is one that I find easy to write, but like you when I read it, I sit and cry at the pain of everything. I came across your story after discovering Heartfelt through looking at photographers on fb, and have only read this page – I just cried the whole way through. Thank you for sharing your story, my heart aches for your and your family. So many things I have never thought of, I pray there is always someone available to help people through these heartbreaking situations. Heartfelt are amazing people, they have given us something to treasure for the rest of our lives and I thank them from the bottom of my heart! Thankyou for sharing your beautiful words about your time with adorable Liam. You should never of had to be this brave, babies are not susposed to die, mothers and fathers are not susposed to leave hospitals with empty arms and aching hearts, but you ARE so brave, because it would be so easy to give up, but each day you fight and live on for your little man- I can think of nothing braver. Liam is lucky to have such amazing parents, and I feel lucky that you’ve let people in on such a intimate journey, Liam will forever have a place in my heart. After reading this I went over to where my little man lay snoozing and just stared at him for the longest time, newborns are so tiny and precious and while I love him with every inch of my being I feel that now I will never take another moment for granted. I agree, babies are not suppose to die. Thankyou for your kind words and for keeping a place for our Liam in your heart…that is beautiful! I believed that when I got to the end of my pregnancy and went into labour that Liam was a ‘sure thing’ it never crossed my mind that anything would adversely happen to him, so cherish and treasure your baby every minute of the day, just because he is here and you can! As I write this I lay here totally shattered and crying. You see I to had to say goodbye to my beautiful little boy 15 years ago. The hardest part is walking out and not being able to take him with you. No one knows What to say. My sister in law had my nephew 2 days after my son died and evertime I went there they’d hide him from me so I wouldn’t hurt but all I wanted to do was hold him and smell him and look at his face. My husband and I went on to have 3 gawjus daughters the first person they got to visit after leaving hospital was there brother. He is spoken of everyday in our house we see him every Sunday without fail. Life goes on and the pain gets dull but your heart never ever recovers. I say stay strong stay solid with your husband because he is the only other person in your world that knows 100% how you feel. Good luck and god bless. I’ve met you through the support group. My son Angus was stillborn a week after Liam. Thank you for being so brave and sharing your story to help people understand. I am interested to know how you found out about Heartfelt photography. I have only just learned of their existence through your blog and also the article currently in the Women’s Weekly. 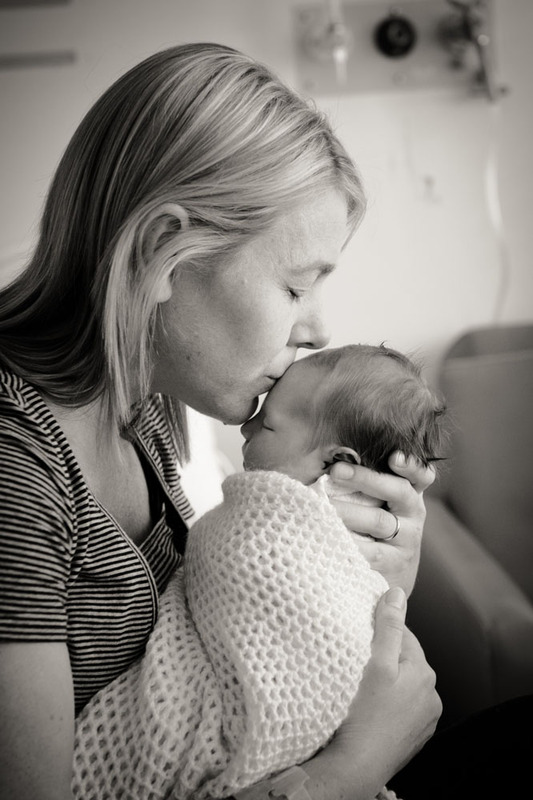 When Angus was born no-one told us about Heartfelt and as a result we have no professional photos, which greatly upsets us, as obviously we can’t have those moments back. Yes I know who you are, you have two older children and have faced similar circumstances as me having to explain and tell them what has happened to their baby brother…horrible….wouldn’t wish it on anyone, and I am sorry for the pain that you and your family are going through, especially as it is really hard to explain what happened in Angus’s situation. A friend of mine texted me 24hrs after Liam had died and told me about Heartfelt, she had heard of it through a friend of hers who had lost a baby and told me to ‘google’ them and see if they would come and take some photos for us, so that is what I did. We also received a brochure of theirs in the Bear of Hope bag, but there were so many things to read in that bag that it was overlooked there. I am so happy that we have photos of Liam…I only wish I knew about Heartfelt the day that he died and the photos would have been even more beautiful. I am sorry that you weren’t aware of this great service…however if you have photos that you have taken you can send them to them and they can fix them up and make them look professional.